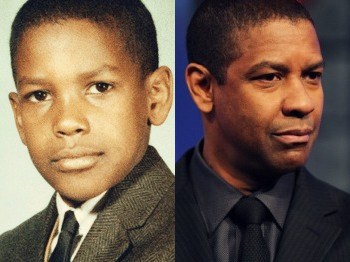 Denzel Washington - now & then. . Wallpaper and background images in the Filem club tagged: denzel washington denzel washington actor now the now and then great young childhood. This Filem photo contains saman perniagaan, sut perniagaan, guaman, saman pakaian, sut, and sut pakaian. There might also be garis halus, pinstripe, hakim peguam bela, hakim peguam, saman breasted dua, and mempunyai dua sut.